This groundbreaking book presents a new way of looking at leadership that is anchored in research on women leaders in education. The authors examine how successful women in education lead and offer suggestions and ideas for developing and honing these exemplary leadership practices. Women and Educational Leadership shows how the qualities that characterize women's approaches to leadership differ from traditional approaches?whether the traditional leader is a woman or a man. 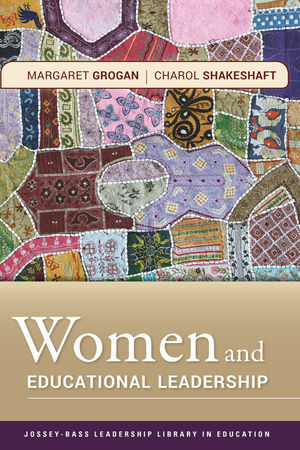 The authors reveal that women leaders are more collaborative by nature and demonstrate a commitment to social justice. They tend to bring an instructional focus to leadership, include spiritual dimensions in their work, and strive for balance between the personal and professional. This important book offers a new model of leadership that shifts away from the traditional heroic notion of leadership to the collective account of leadership that focuses on leadership for a specific purpose—like social justice. The authors include illustrative examples of leaders who have brought diverse groups to work toward common ground. They also show how leadership is a way to facilitate and support the work of organizational members. The ideas and suggestions presented throughout the book can help the next generation fulfill the promise of a new tradition of leadership. Women and Educational Leadership is part of the Jossey-Bass Leadership Library in Education series. MARGARET GROGAN is dean of the School of Educational Studies at Claremont Graduate University. CHAROL SHAKESHAFT is the department chair of Educational Leadership at Virginia Commonwealth University.